Ramadan can often be an overwhelming and stressful time for parents. In sha Allah the tips below will assist parents to better equip themselves to achieve a spiritually fulfilling and beneficial Ramadan. As parents we do not prioritise and value our own needs. However, Ramadan is the perfect opportunity to start doing so. Putting you first is not selfish. To be your best you need to be intentional about allocating time for yourself. Roster it in and stick to it. No matter what. Write a list of what it is you are hoping to achieve this Ramadan. Reading extra Qur’an, giving more in charity, volunteering with a charity organisation, increasing in dhikr, dua’s, write it all down. This will not only assist in keeping you on track but also, you will feel a sense of accomplishment as you tick off each task. Ramadan is the most celebrated month in the Muslim calendar. Therefore, it is important to make Ramadan a happy and special time for everyone, especially our children. of skill (or mood) you can go as simple as putting up a ‘welcome Ramadan’ banner or as extravagant as having a table setting with lanterns, roses, a board with ‘tonight’s iftar menu’ etc. 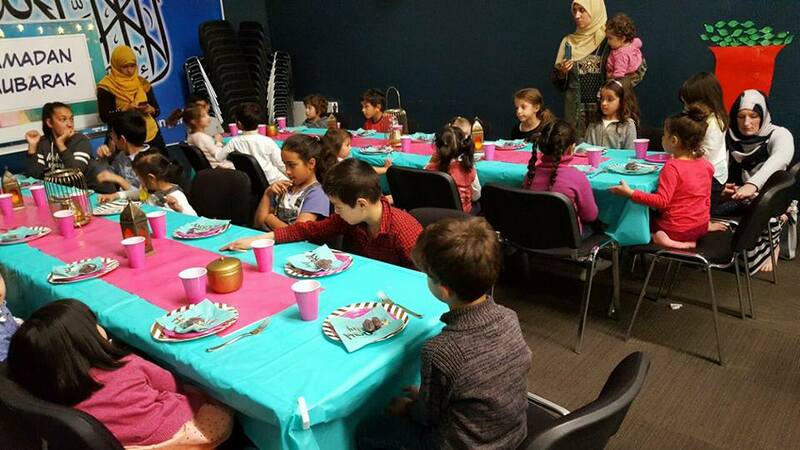 Another way is to involve children in as many Ramadan rituals and acts of worship as possible. Depending on their age you can wake them up for suhoor, let them fast until Dhuhr or even a whole day, go to taraweeh prayer or stay up with you for qiyam for an hour or more. Many of us make the mistake of leaving Eid shopping until the last minute. This usually means we spend the last ten days going from store to store whilst we should be utilising that time to prepare for qiyam as well as increased and more focused worship. Avoid making this mistake. You can make a list of items you need to purchase including kids Eid clothes, gifts for friends, family etc. Also aim to complete shopping of non perishable groceries and stocking up on these items so as to limit time spent having to restock. a little easier and more efficient it is a good idea to be prepared. Have a weekly plan of the menu you want to prepare. A suggestion is to plan cooking for five nights and have two days off per week as you may be invited out. Wherever possible prepare and freeze meals or side dishes before Ramadan. of the Prophet PBUH to stay up after Fajr. So be sure to utilise this opportune time to be as productive as possible. You will reap the rewards as this time of day is filled with barakah. After completing morning worship, and any other responsibilities (and you are not required to be at work) aim towards taking a short nap after Dhuhr prayer to rest and re-energize in preparation for the rest of the day, evening prayers and worship. it and focus on utilising it strictly for sharing beneficial Islamic content, reminders, events as well as maintaining ties of kinship by checking on family members as well as friends. Alhamdulilah we now have access to many excellent resources for kids entertainment. Be organized, download fun Islamic cartoons and TV shows onto devices so as to have them on hand during those moments when you need time to yourself to complete worship and chores. You can also purchase fantastic Ramadan themed DVDs such as Zaky’s Ramadan which the kids will not only enjoy watching but also benefit from the excellent content. Other great islamic kids shows include the Baba Ali series, Iqra cartoon, Prophets stories and Misri Bunch which can be found on Youtube. Ramadan is a time to connect with family, friends and the Muslim community. Some tend to completely withdraw from socialiasing in order to focus on ibadah. However, Ramadan is a time to reconnect with loved ones as well as reaching out to the disadvantaged, lonely or isolated. Make the point of inviting over family and friends and community members who may not have a strong support network and can often feel this more so during Ramadan when others are enjoying big iftars surrounded by family and loved ones. Another opportunity to earn rewards is to contact local charity organisations, get together with other sisters and organise a food drive or prepare packaged meals to donate to the poor. Lastly and most importantly remember we should remember Ar-Rahman, Ar-Raheem is All Knowing and aware of our situation. We will not be judged on the results but rather our intentions and efforts. Allah SWT has made this religion easy and the opportunities to reap benefit and reward attainable with a little organising and pre-planning. May Allah SWT accept our Ramadan and make it a means of great reward for us and our families.